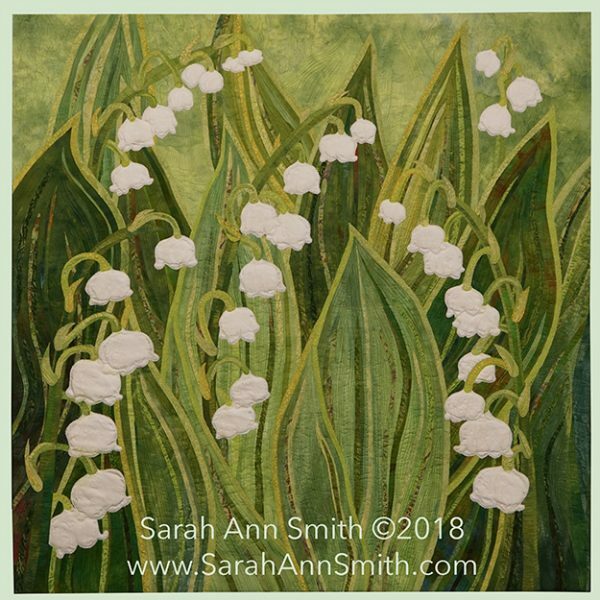 Lilies of the Valley, 36 x 36 inches. As always, there is dense quilting to bring the quilt to life. 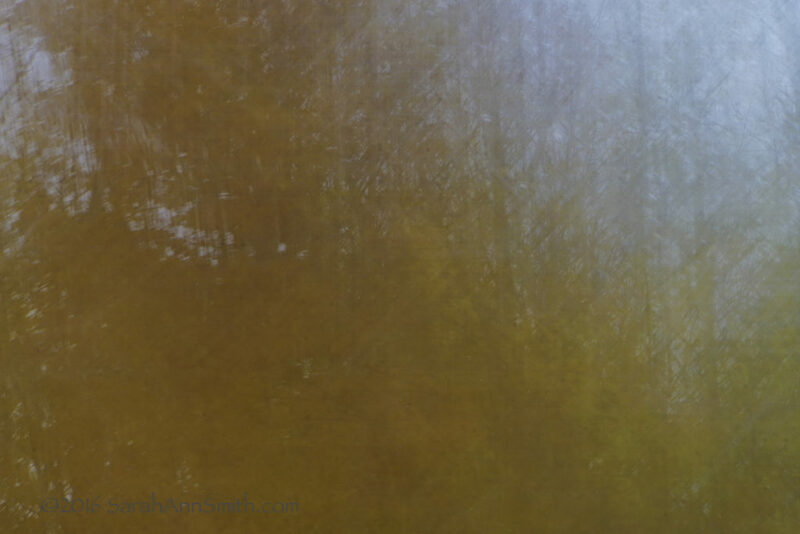 This work is has been juried into the SAQA Connecting Our Natural Worlds exhibit, and is available for sale. However, the quilt cannot be delivered to the purchaser until the end of the SAQA exhibit in 2022. I love the delicate fluted cups of the tiny flowers near our front porch, the shades of green as the leaves curve around the delicate stalks. 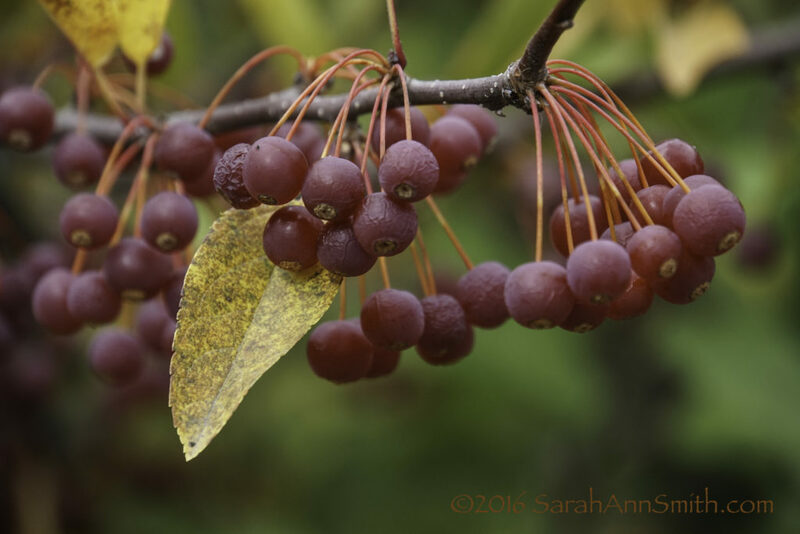 And later in autumn the flowers become vibrant red and orange berries to add little glints of surprising color to the fading landscape. 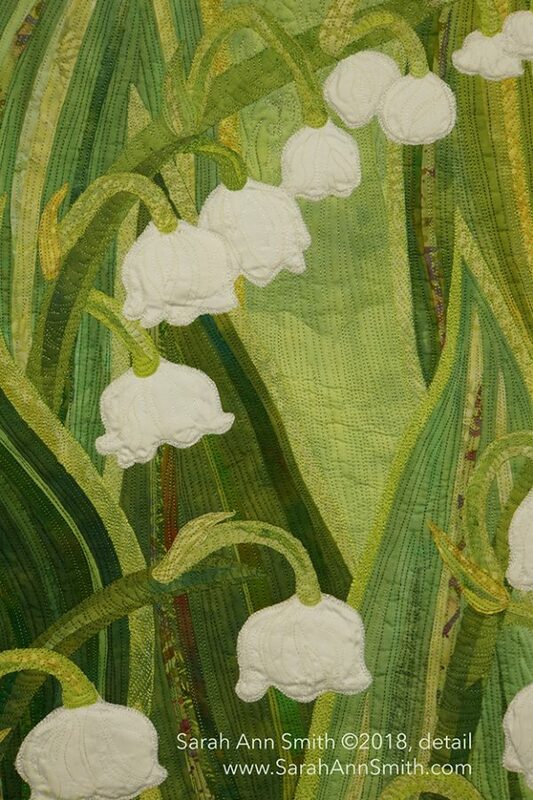 The quilt uses my own hand-dyed fabrics extensively along with commercial batiks and cotton sateen. I encourage you to visit the online exhibit and enjoy! 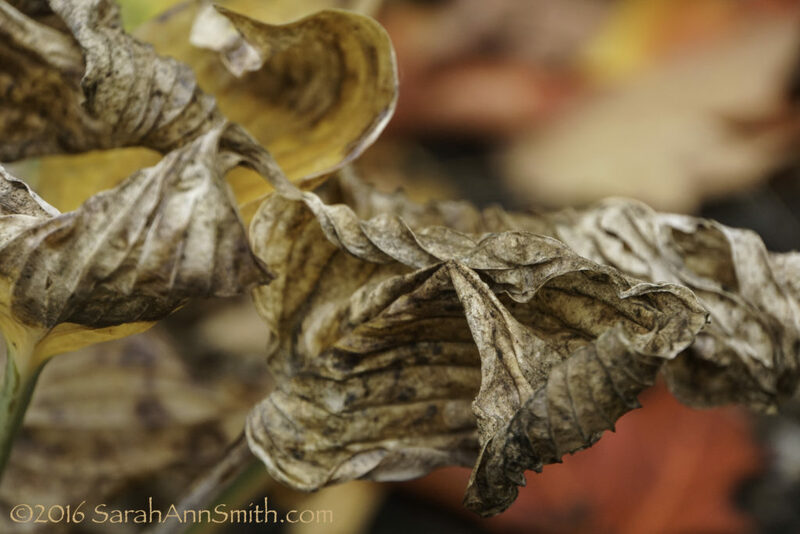 In 72 hours I’ll be in The Quilt Show studio, prepping to tape on Saturday. That meant do this week’s photo for my weekly photo challenge/critique group quick! My first thought was found letters, so I took a quick jaunt two miles to Hope Corner, the seat of town government (it’s ok to giggle). 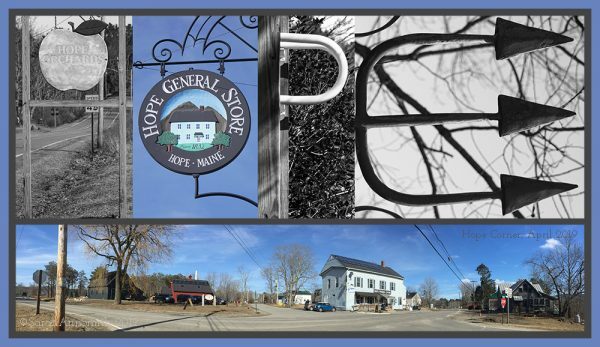 In the panorama, you can see the road to my house on the left, the Pinchbeck’s home, bagpipe business (Pinchbeck Pipes) and Sweetland Center (school, events)–black and red buildings, Hope General Store (big gray building in the center) which has been in pretty much continuous operation since 1832, the Town Office (tan building mostly obscured by the General Store), on the right barely spy out a red barn for Hope Orchards (you-pick mostly), and Benjamin Leavitt’s metalworks. I have often said a town in Maine is where two roads interset and there are at least two buildings. We have more than two! The caption sums it up–I’ve been BUSY, so I am actually looking forward to sitting in an airport and on a plane! I’m also really excited about the opportunity of being on The Quilt Show. I’ve got samples and step-outs prepped: when you demo something you have to make a zillion versions of it, one for each stage of the process since there isn’t time to do the work while being filmed. I’ve even thought to the week after when I have a teaching job in Portland and another the following week in Massachusetts. I’ve got about five big events this year, and three of them are between April 4 and 18! Sheesh! But I’m happy excited, the income from teaching will pay for the cost of the trip to Colorado–airfare, hotel, Uber to and from here and there, seeing some internet friends, meals, and shipping two boxes. Since I live in Maine and take Cape Air from here to Boston, we are limited to just ONE full-size suitcase per passenger. There are only 9 seats plus the pilot’s on the plane, and cargo is in the nose cone, small carry-on items go in the wings of the plane, and there is a netted area behind the last seat. That meant an expensive FedEx of long/large quilts and a flat rate box of goodies to give to the audience. But I’m READY! I’ll share pics on Facebook and Instagram and blog when I’m home and have had a brief collapse LOL! So stoked! 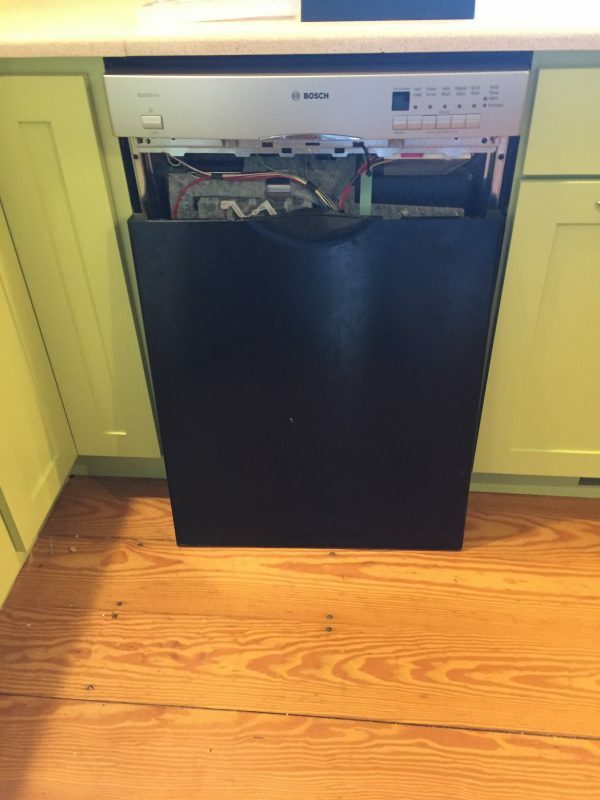 Dishwasher repair and rehab! 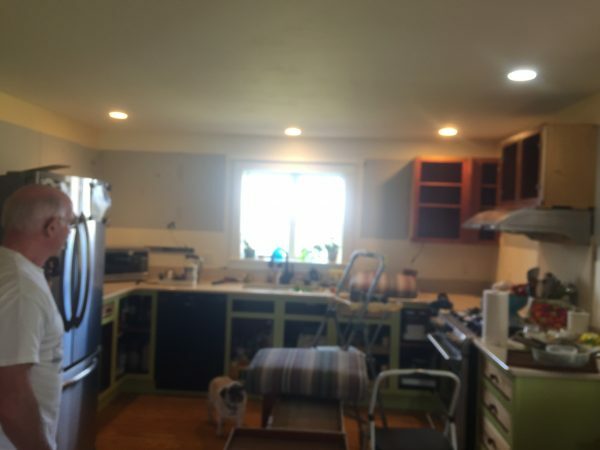 Complete kitchen re-do! Warning: no art or quilty content whatsoever LOL! 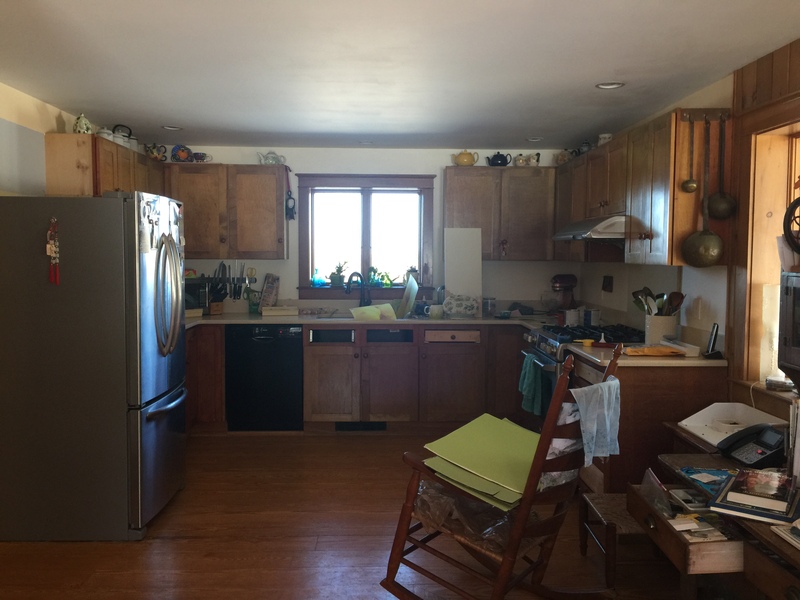 So I have shared on Facebook about my kitchen re-do, thanks to the wonderful folks at Pine Ridge Carpentry of Hope, Maine. GOSH…I didn’t blog about it I just discovered. 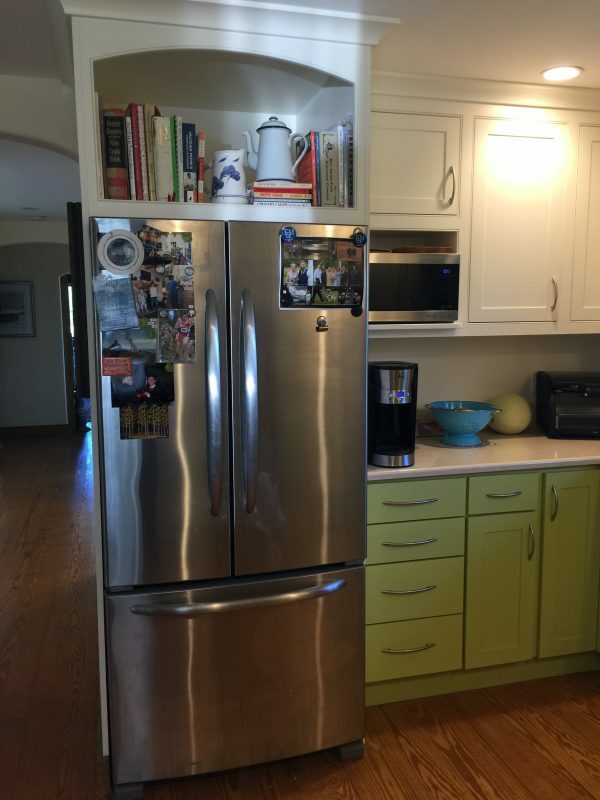 OK, this just turned into a comprehensive kitchen re-do post. It’s lotsa eye candy and inspiration, not much reading…just scroll! At the very end I’m putting some of my favorite things / details from the re-do so be sure to go down to the end for the best bits. OK, it’s all good stuff! The FINAL, all-fixed-up version… read on for more! 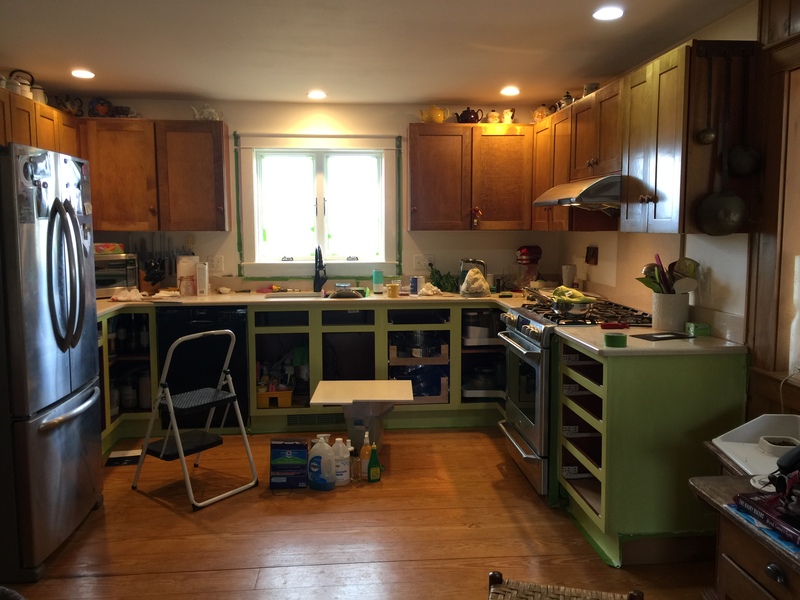 Today I finished the last bit: repairing the handle on the dishwasher and painting the black metal front in green to match the cabinets. I am THRILLED with how it turned out. 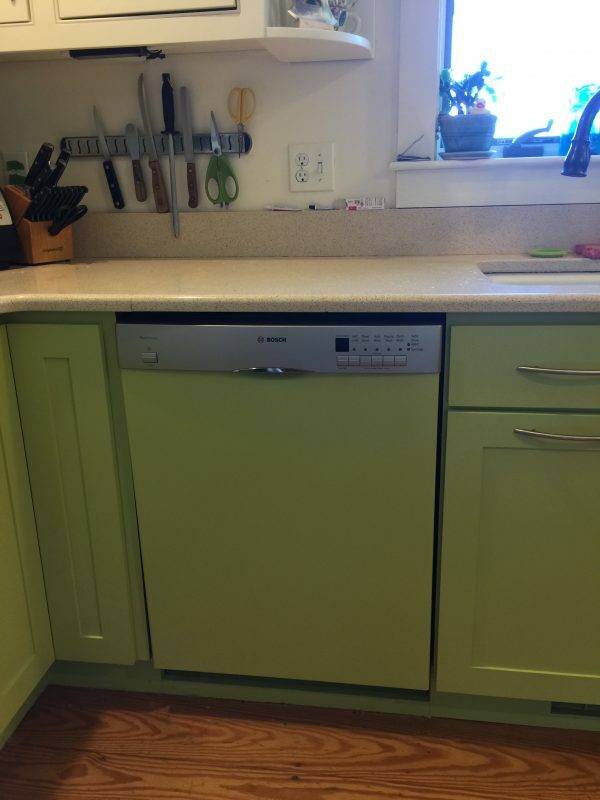 I can’t believe I semi-took-apart the dishwasher, changed out the front control panel and switches, re-did the door and it looks good! Some day I may replace the totally-functional faucet with one that matches the new decor and maybe convert the recessed can over the sink to a small drop light, but that will wait. 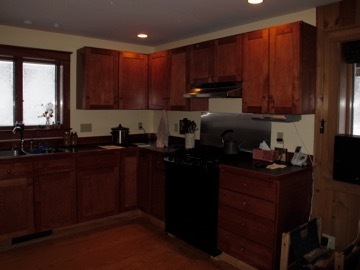 The kitchen at the very beginning…dark counters, dark cabinets, grayish white on the ceiling, black appliances…ugh. Then, this past late spring/early summer, I took out the dark old ick which included a lot of fading of the color, down to shadow marks!. The reddish color was the original cabinet color. The spot is from where the knob cast a shadow and prevented the light from the window distorting the color. 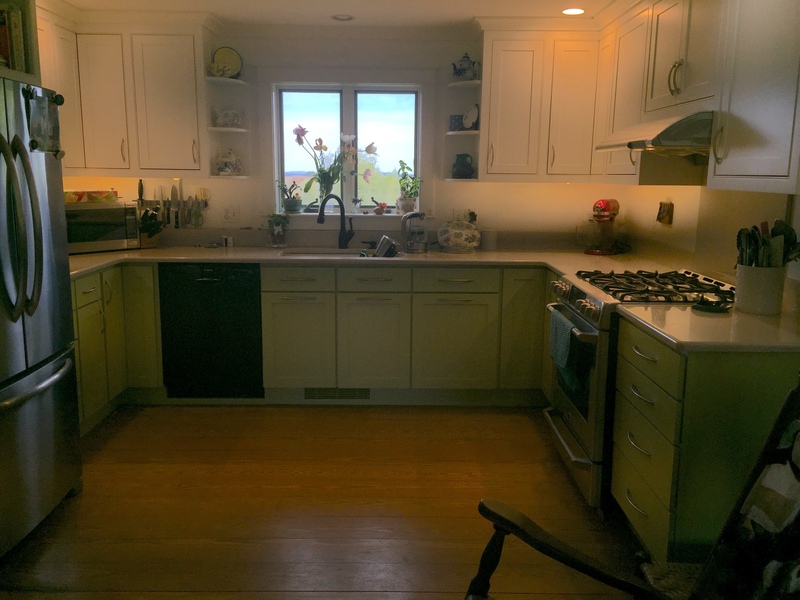 You could actually see a diagonal (blurry) across the upper cabinets where the sun bleached it. Yuck! I couldn’t afford to re-do the whole kitchen. Shortly after we moved in, we got rid of the dark green formica counter (which showed every single grain of salt, mote of flour, dried drop of water) and put in quartz counters. I wanted to get rid of the claustrophobic feeling at the sink where the upper cabinets closed in on me, and love the old fashioned whatnot shelves. I figured (correctly as it turns out) that having these on the ends would open up the window area. Some of the lower doors were also starting to warp…not good. 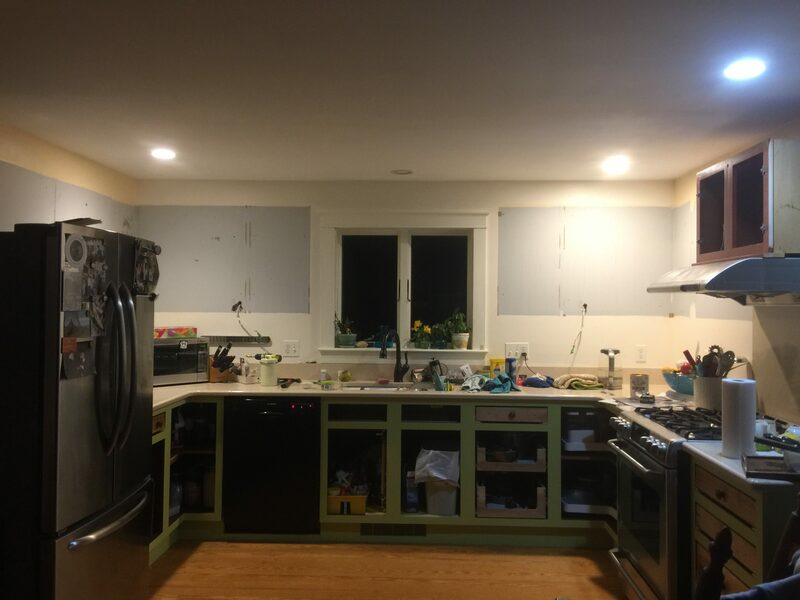 This is what the kitchen looked like for most of the past 7 years (I had already taken the drawer fronts off to start sanding in this photo). Dark. Ugh. I looked and looked for years, and found some great semi-custom at EBS, the local hardware store. Finding an installer that would show up however was an issue. 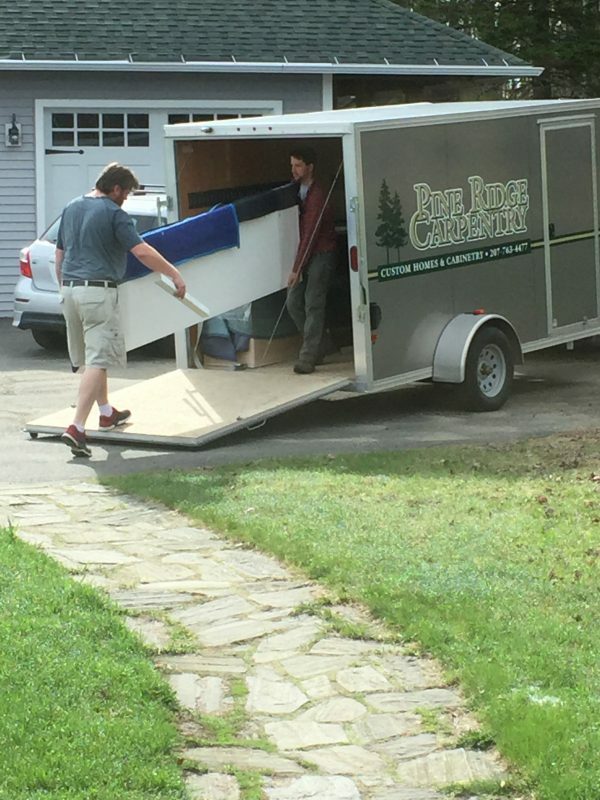 One guy came out, gave a bid, shook hands on it (how business is done in Maine), then decided it was “too far” for him to come (25 minute drive!). So I stopped in to Pine Ridge Carpentry a few miles from our house. 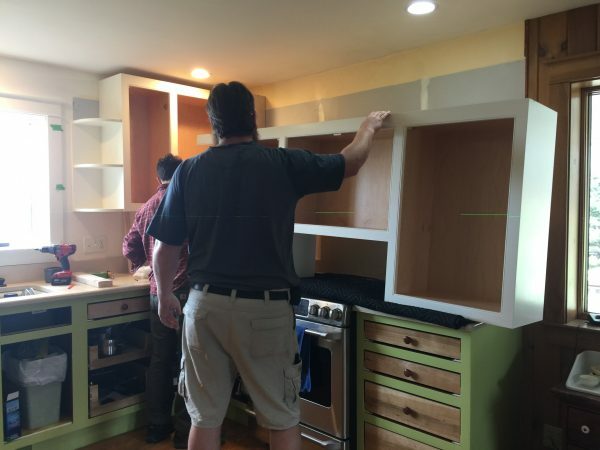 They asked to bid on the project instead of installing the pre-fab cabinets. Their bid was $1000 above the cost of the pre-fab, but agreed to match the price because they had a sudden opening (in a week!) in their schedule and wanted to keep the crew working. So I got CUSTOM, exactly everything I wanted, for the same price. 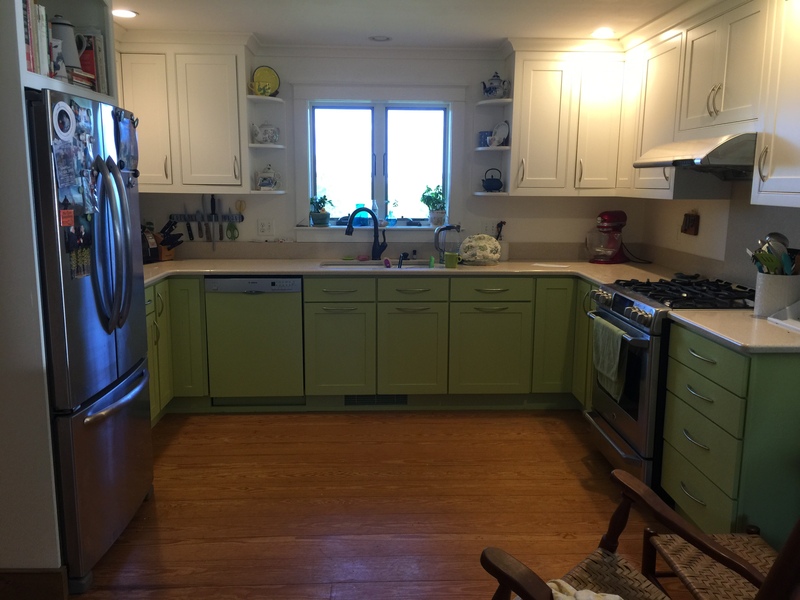 AND I ended up ordering new doors for the lower cabinets, sanded the frames and painted them myself, sanded the drawer fronts down to wood, and they painted the drawer fronts and new doors to my custom color. So for about $2000 more than the initial cost I got an almost entire new kitchen! 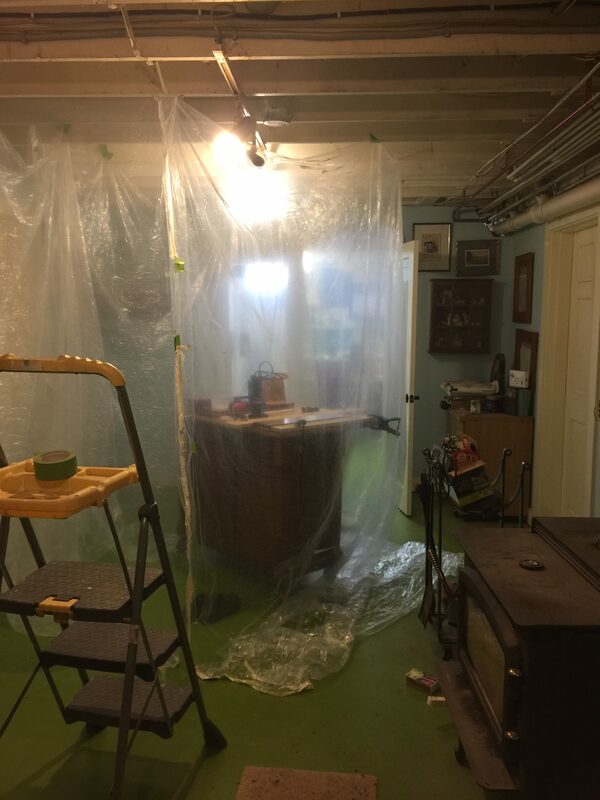 I hung plastic drop cloth in the basement to contain the dust when I sanded down the drawer fronts, which Pine Ridge painted along with the new lower cabinet doors. Pine Ridge is so cool–I stopped in to drop off a check, and got to see the workroom, and Nate showed me some of my new upper cabinet fronts–these are the ones over the stove. This place is so clean you could eat off the floor! I sanded the lower frames down to bare wood, then primed and painted with the same paint Pine Ridge used for an exact match. And boy did I test-drive a lot of samples to get the perfect-for-me green! De-installation, by me with muscle from Paul. 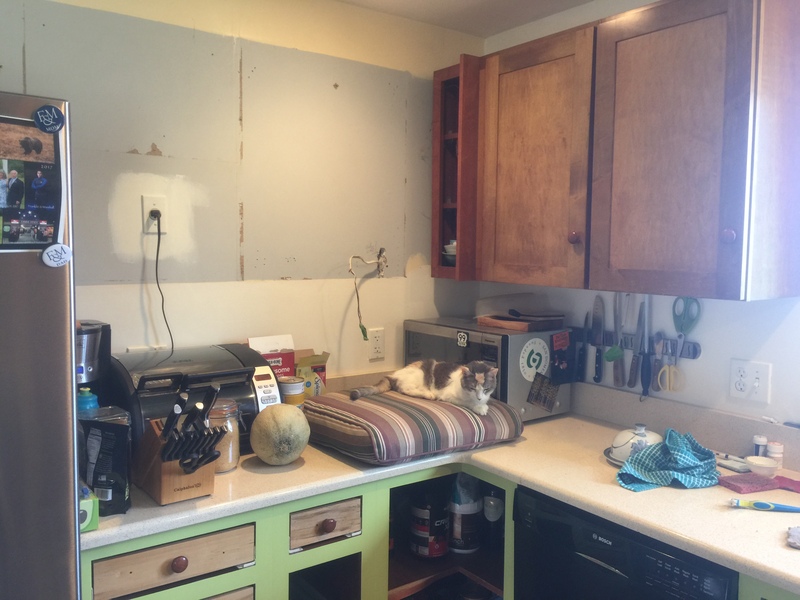 I wanted not to rip off the old cabinets. They are currently in the garage for future use out there, with a couple in our store/work room in the basement. Note the large bulky microwave plus toaster on the counter. The cushion was knee padding as I removed screws. LOOK how much better it is without those awful dark cabinets closing in on the window! Voila! Mo’ bettah! Paul even admitted the kitchen looked SO much bigger and lighter already. Nate really is that tall, about 6’5″…he could reach the crown moldings without a stepstool! He can also make ANYTHING. Impeccably! Finished by Mother’s Day. 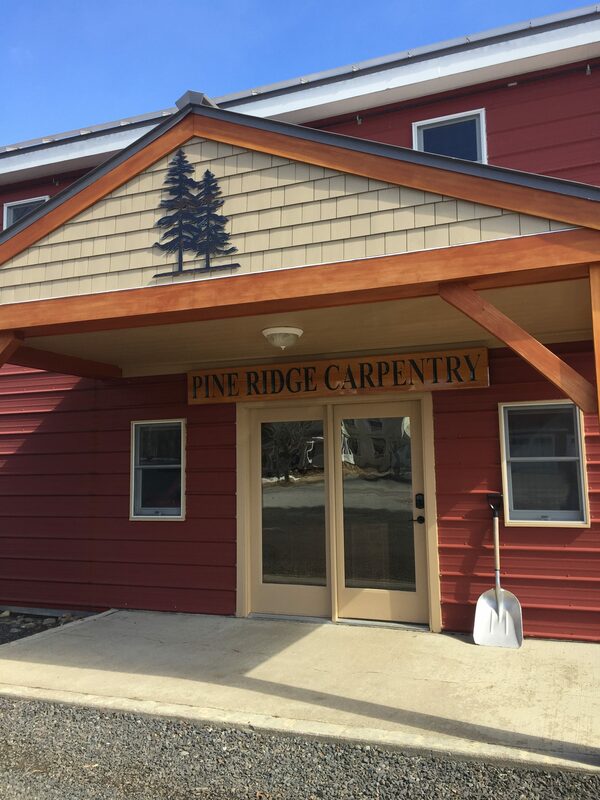 I cannot tell you how pleased I am with the results, my design, and Pine Ridge Carpentry’s outstanding responsiveness and quality. They aren’t inexpensive, but they are worth EVERY SINGLE PENNY. I told them if I win the lottery, they are building my dream house! The only thing left to do once I had **finally** selected the hardware and they installed it was to do the dishwasher. Thanks to Bosch and YouTube, I was able to repair the cracked handle and get the door panel off. 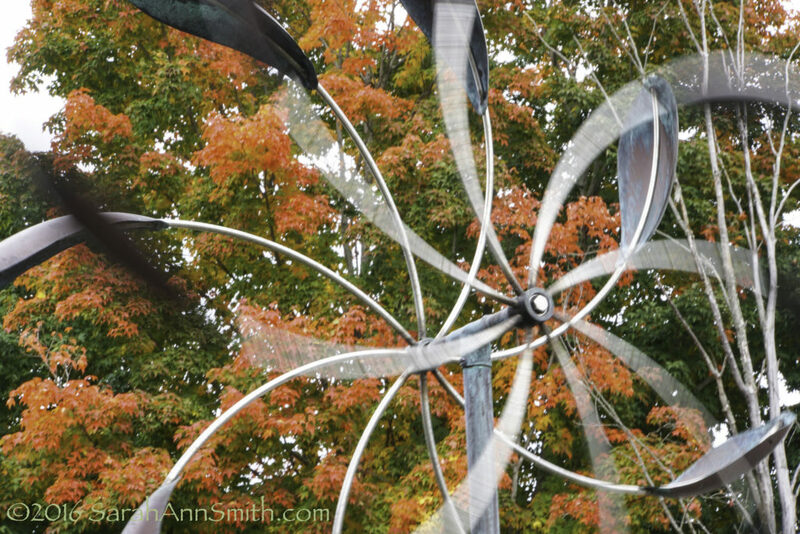 Thanks to my friend Deirdre Abbotts for helpful hints on painting metal. I was disappointed that on a quality brand like Bosch the handle / panel cracked to the point of needing to be replaced, but glad that you could actually replace JUST the handle (not the whole door) and that they told me about good video tutorials on DIY on YouTube. As I was about to order the new handle, I realized I could order silver, not black! AND that I could order a new stainless steel full door panel. But that panel cost $180. Leftover paint: free. Help from Deirdre: free and appreciated! New handle and buttons installed, black panel removed for painting. It was literally plug and use! Like clicking in Legos! Before removing little stuff like this plastic panel, TAKE PICTURES so you can get it back exactly. The videos don’t do close-ups of all things. Painting the door panel in my utilities room, where I dye fabric. I figured it was the least dusty part of the house, but the floor joists permit air from the rest of the basement in. It is IMPOSSIBLE to paint in a dust-free, pet-hair-free environment in this house. Oh well. I did my best! Installed this morning…I just about squealed I was so excited! The finish isn’t perfect, using Floetrol in the paint (thank you again Deirdre) was essential, and next time I will buy cheesecloth and strain the paint. But it is as good as I can get it in this environment, and I am thrilled with the final results. The FINAL, all-fixed-up version… one more time. I LOVE these rounded shelves. My gramma had them in her Southern California bungalow home. I designed them into our dream home in Friday Harbor and loved them there. And I love them here. 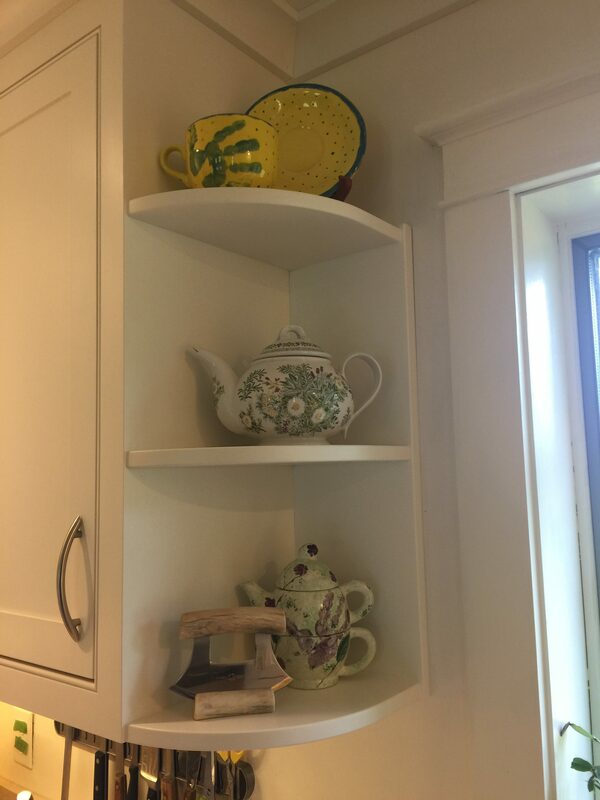 That is Joshua’s about 8-year-old hand on the yellow cup, a UK National Trust Teapot on the middle shelf I ordered while living in Gabon circa 1990, and Eli’s about age 4 hand on the cup/teapot thingie on the bottom shelf, with the Ulu bought in Alaska last year and used often. The Pine Ridge guys asked if I wanted a pullout for trash. Um yeah! 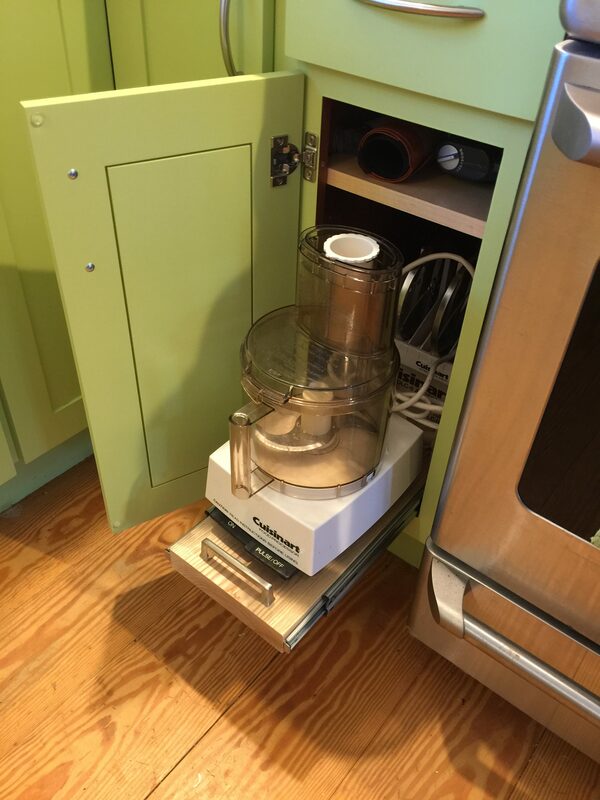 I had initially looked at DIY options, but they wouldn’t work with the old cabinet base. They made a box to fit and installed bump out glides. 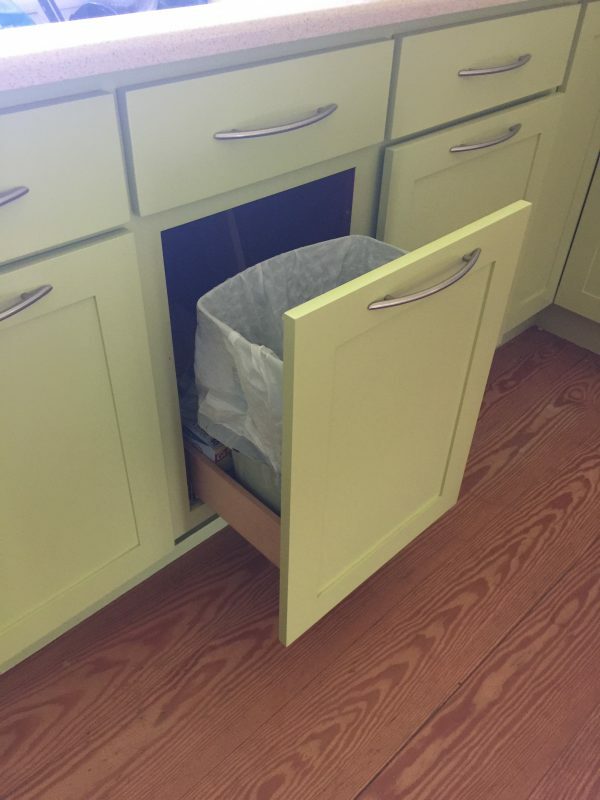 I can use my toe or leg to open the garbage–ya know how you crack an egg then realize you didn’t get out the trash can? No longer an issue! Because of this feature, we opted to put the pulls horizontally on the three doors under the sink. 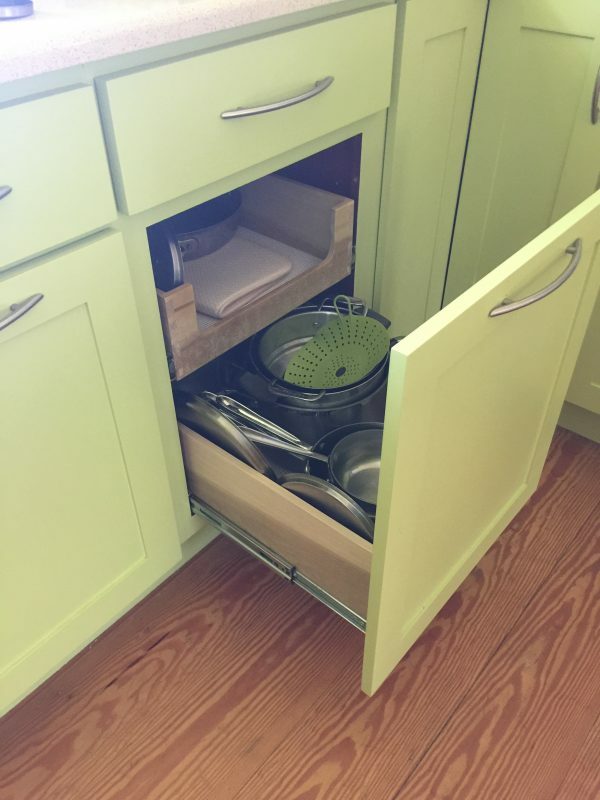 When JB retrofitted the cabinets to install a dishwasher in 2011, we had him build two pull-outs for the pan cupboard. 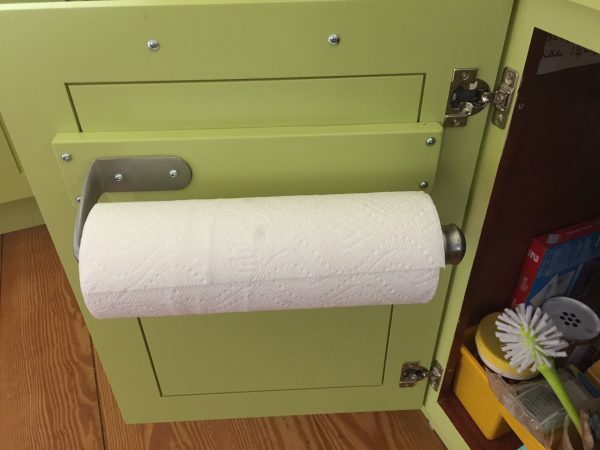 We decided to screw the new door to the pull-out so it functions similarly to the trash, but because we used the existing hardware you pull it (not bump)…which you can do with one finger! 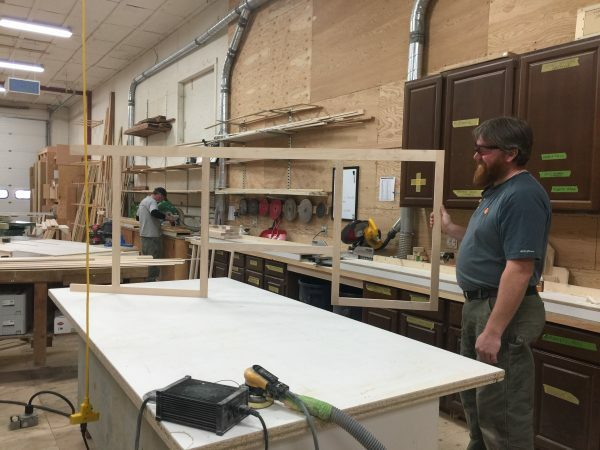 This cabinet opening is a skinny 8 1/2″. Useless for almost anything other than cookie sheets (which are on the other side of the kitchen in the mirror image cabinet). It originally had a half-deep shelf. Useless. So I asked them to make a pull-out for the bottom and a full depth shelf. 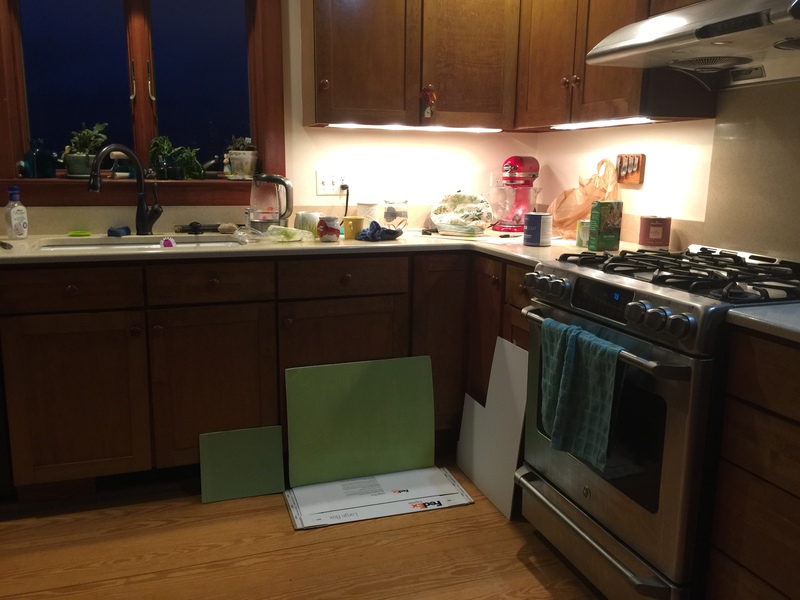 The shelf is installed at the very top and my rolling pin, stick blender and rolled-up non stick cookie mats are in there. Easy to pull out and return. 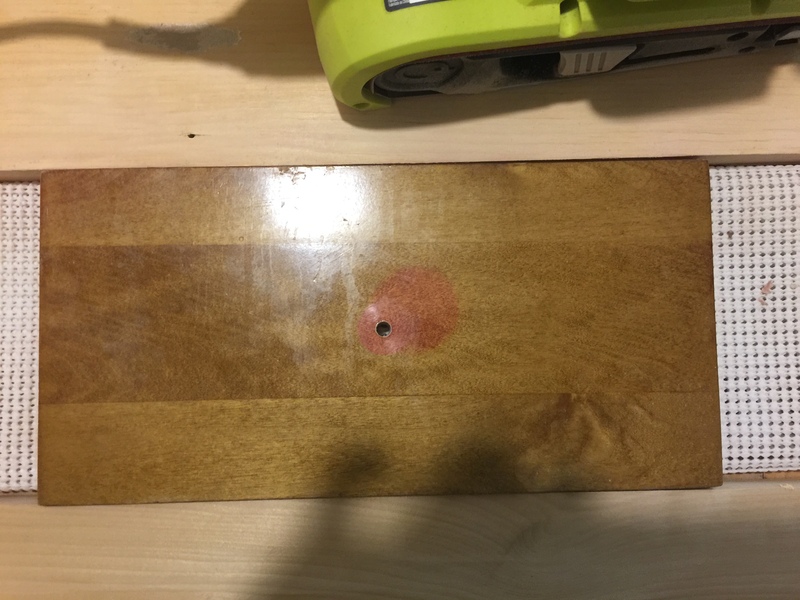 The guys found a slab of wood and installed it on the bottom with glides. We used a handle I had ordered but decided wasn’t the right style to pull it out. Now I can get the Cuisinart in and out easily without knuckle mashing. Hidden, accessible, perfect! You’d think I would want to take on something as easy as a paper towel holder installation. But I was leery of screwing through my new doors. Nate has a brilliant way to help with that: a brace of wood that extends to the thick frame part of the door, then apply the holder. The latter I ordered from amazon and has a ratchet so you can pull and tear off a single sheet one-handed. It really works. Link here. I painted the wood green to match before Nate installed it. LOVE! A “leg” on either side of the fridge makes it look like the fridge is built-in, extends the hallway visually. Before, it was just the side of the fridge next to the hall–not so attractive. Pine Ridge milled baseboard trim to match, I stained it, they installed it. I did drywall mud to join the new panel to the existing hall and when I painted this summer, it looks seamless. I LOVE that they were able to match the curve on the top of the cabinet that I requested to the curve on the top of the hallway. We planned to ditch the old big microwave (which died shortly after installation of the cabinets), so had a smaller opening made to get a small microwave OFF the countertop. Cereal goes in the cupboard on top. 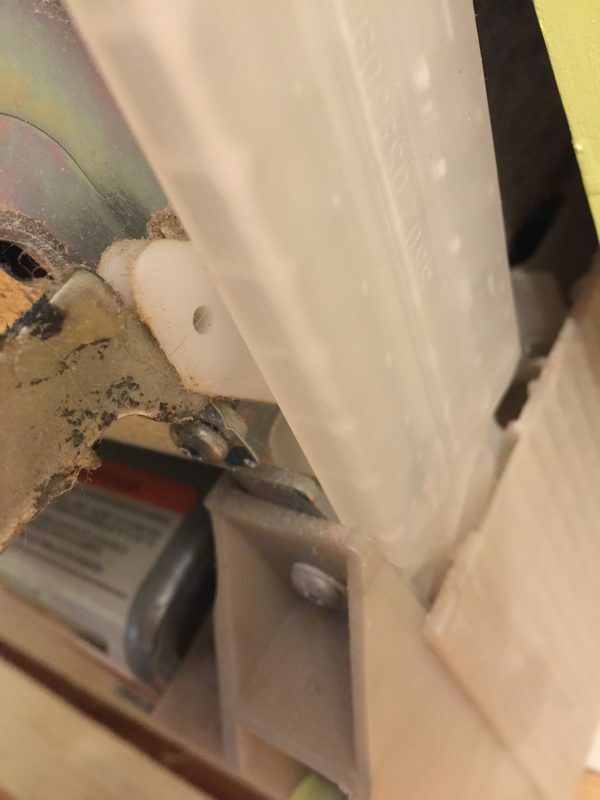 And OH…all the hinges are soft-close. Didn’t think I needed them, but it is what Pine Ridge does standard. LOVE them. 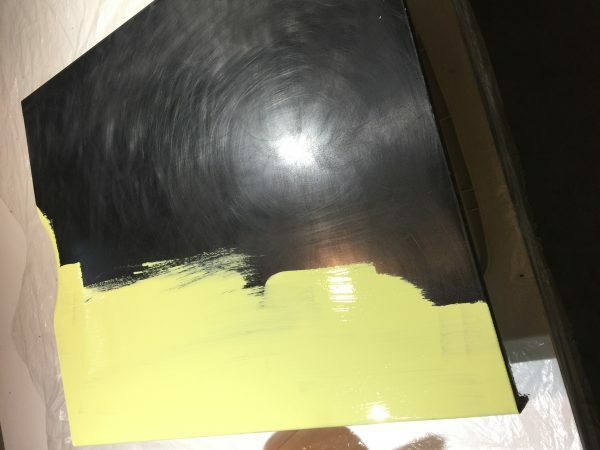 So what was going to be a short post on painting the dishwasher panel has turned into a long, LONG post. But I hope that you find some ideas that you could use…some of the last “my favorite” bits especially can be done to an existing kitchen without too much fuss. To my local peeps, I can HIGHLY recommend Pine Ridge. They are fair in their pricing, honest, hard working, superior quality, responsive. Like I said: If I ever win the lottery, they are getting some of the proceeds whether I build a new house or do “pie in the sky” upgrades to this one. I am a HAPPY CAMPER! 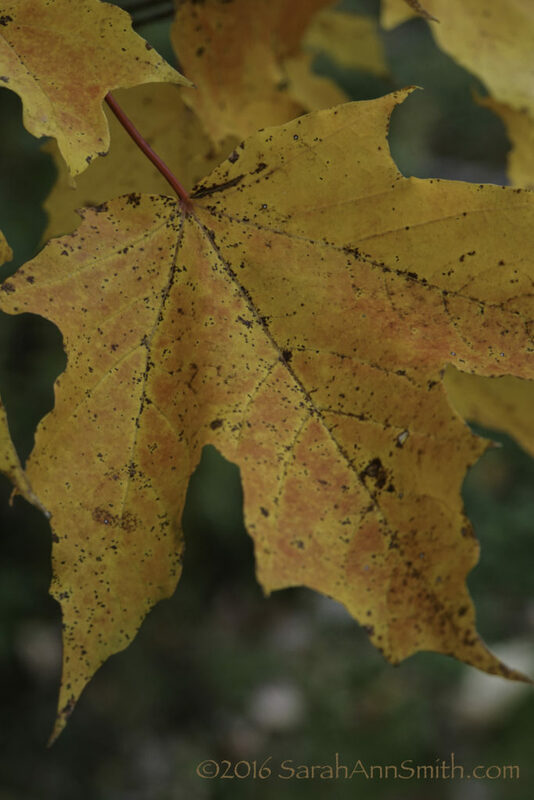 I’ve been part of a photography class with Ricky Tims (in 2015) and a critique challenge this past (and coming) year. For our final assignment this year, we are to pick our favorite image of 2016. Here are my top 12 + 1 for a Baker’s Dozen. For lack of a better way, I’m posting them in chronological order. You can click/right click on all photos for a larger view. Clearly, I am biased about some of these, so tell me–which do you think is The Best of the bunch? Doesn’t matter why–just the one you like the best! I need to submit one on January 1, so pipe up! 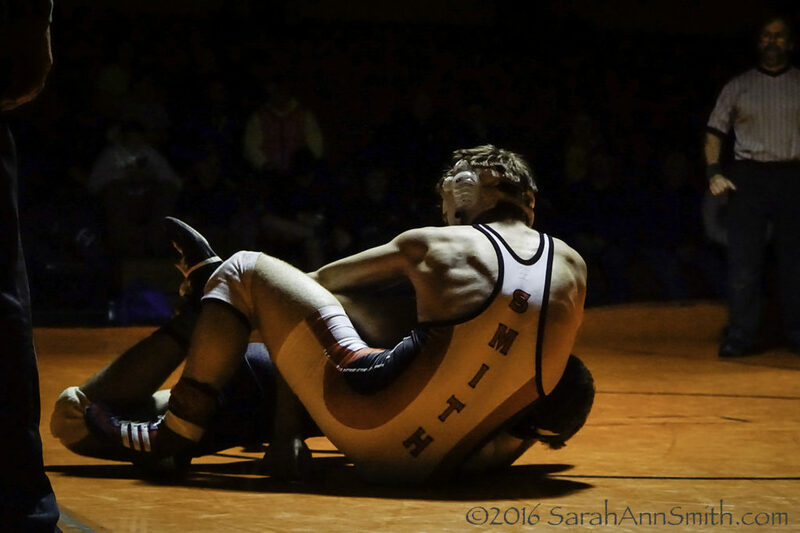 Photo 1: For the past eleven years, the calendar year begins in the middle of wrestling season, so for both quality of photography and affection/nostalgia, I’ll start with photos of Eli’s last Maine wrestling season. Photo 2: Eli, in red, goes in for the pin (and win). I have very, very few photos with Eli’s face, but this one shows the intensity of the sport. This next image is probably the most technically complex I did all year. I had three layers at one point, but the boys’ position in the frame didn’t make a logical sequence, so two worked better. I printed this fairly large and framed it as an 18th birthday present for Eli, and it is in his room with his ***many*** ribbons, plaques and trophies from his sports achievements. 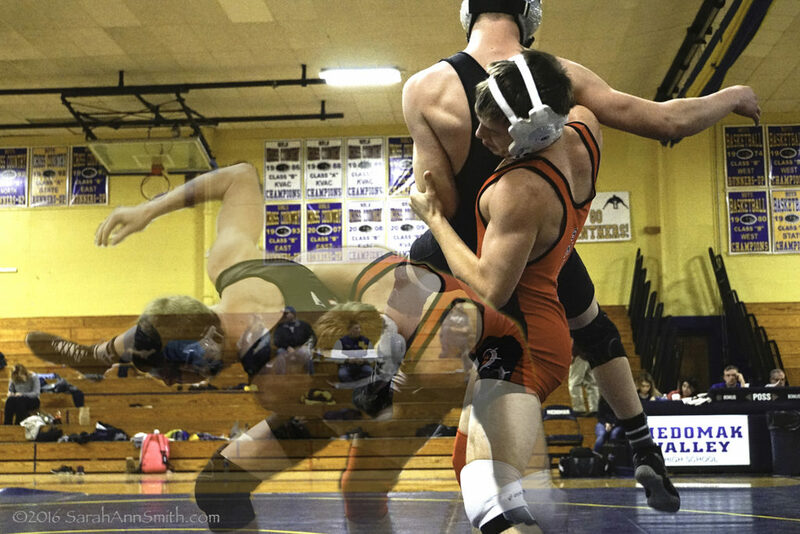 Photo 3: Transparent overlay with Eli in a take-down. I was sitting on the edge of the mat and was maybe 6 feet away from them. Luckily, they didn’t crash into me! 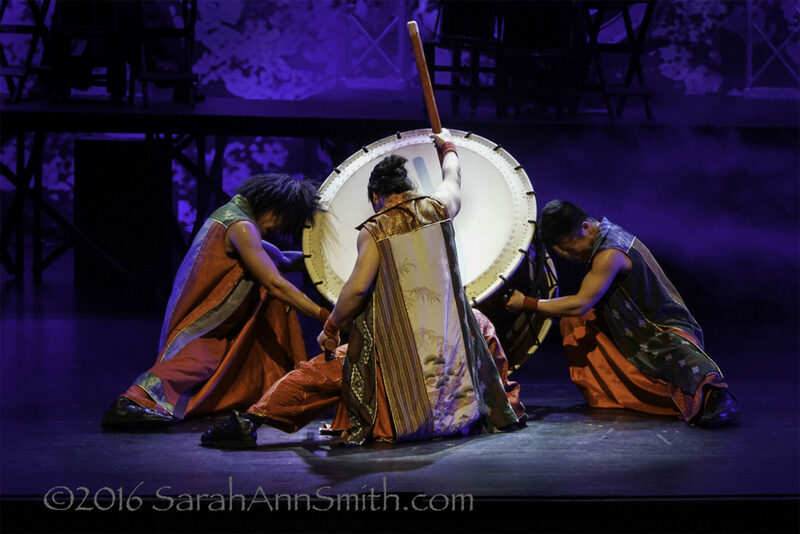 Photo 4: In March the entire family went to hear the Taiko Drummers that came to perform at Strom Auditorium thanks to the Bay Chamber Concert group. I make a tripod of my arms and the rail in front of my seat and was delighted so many of my images turned out well despite the dark. 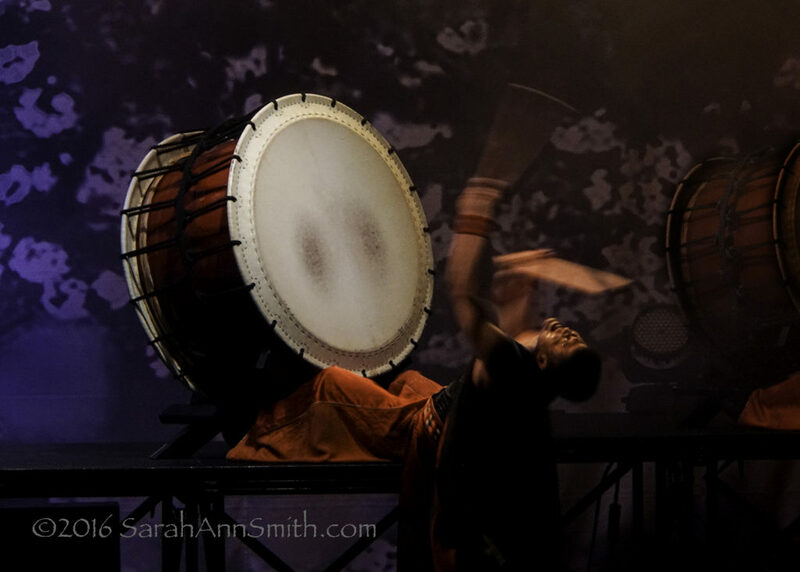 Photo 5: I love that the drum and legs are crisp, the face is clear, and the arms and drumsticks are total blur, telling the story of the physicality of the performance. 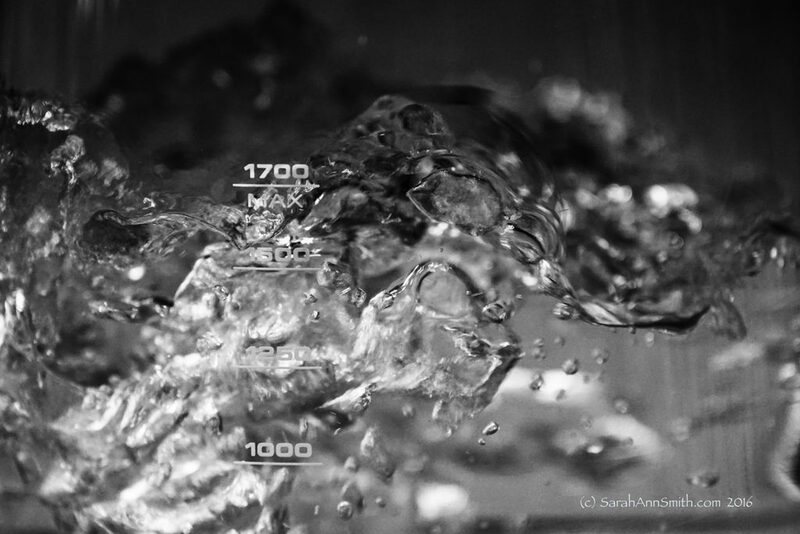 Photo 6: I don’t know why I like this picture of water boiling in my electric kettle so much, but I just do! 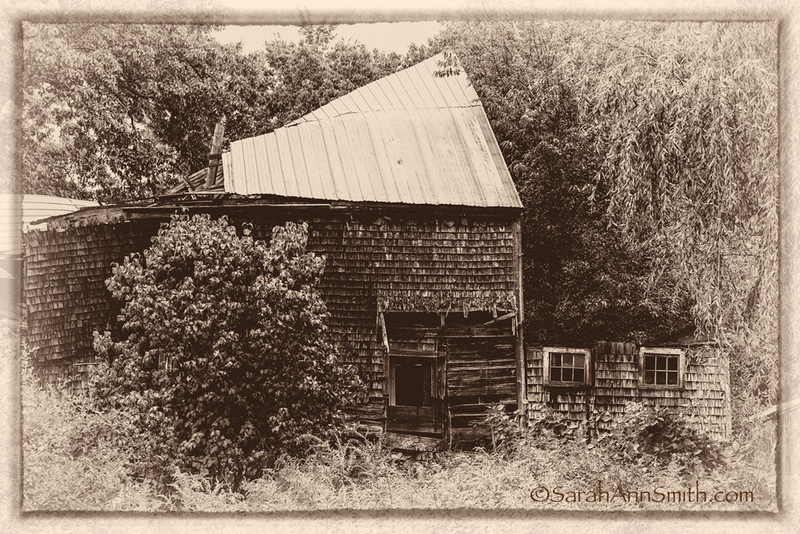 Photo 7: a vintage effect for a summertime photo of a barn near me that has now fallen down (even before the snow). 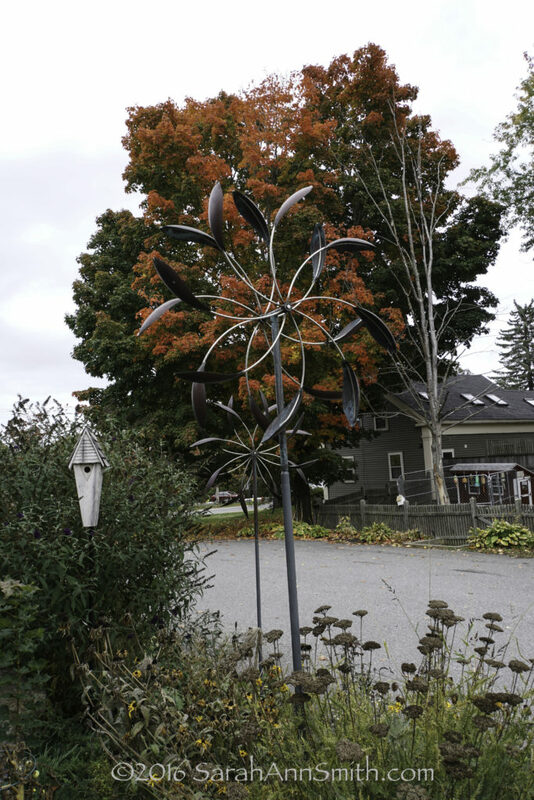 Photo 8: A “panned” image of a sunflower from the Camden Inn garden by the footbridge over the river, just a stone’s throw off of Main Street. 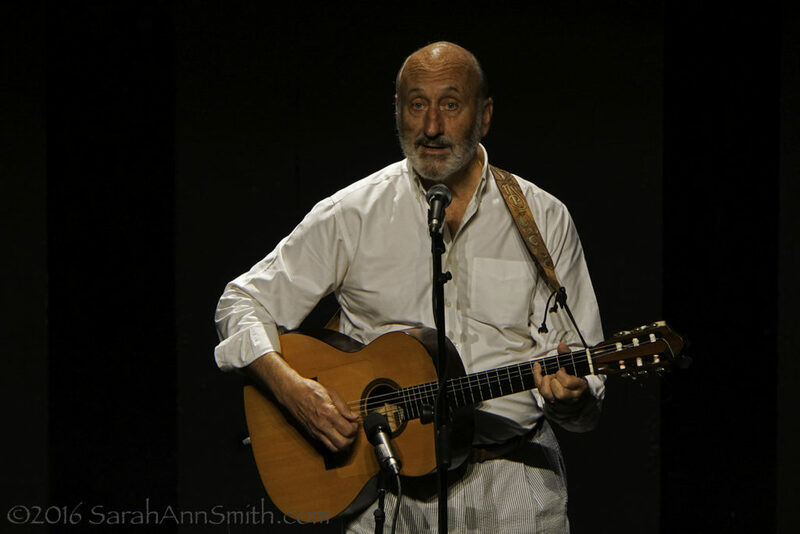 Photo 9: I had missed seeing Paul Noel Stookey when he was here before, so I made sure I didn’t this time, even if I had to go alone. I loved it! I was also pleased that my “tripod on the railing” worked again to get a good shot. The theme was “past prime” which I interpreted that someone might *think* he is past his prime, but really isn’t! 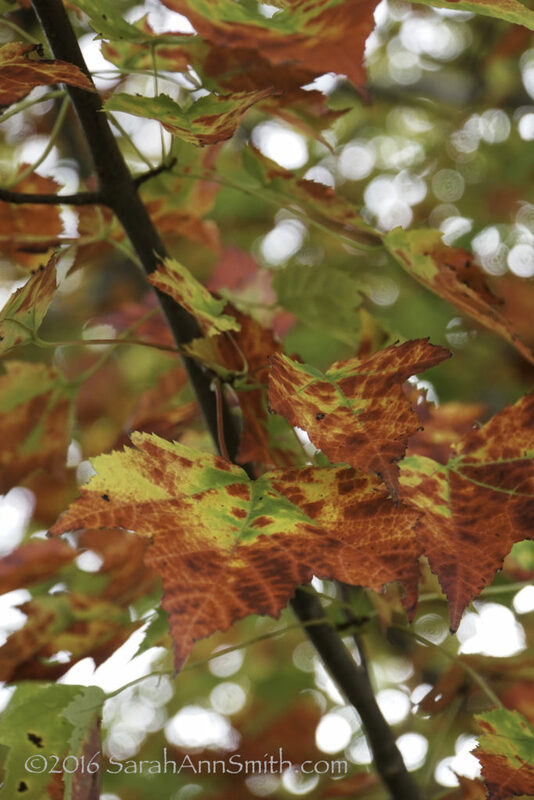 Photo 10: October is always glorious in Maine, and this year was one of the best. I’m not usually in to “artsy” images or affected techniques, but I rather like the painterly effects you can get with some panning. 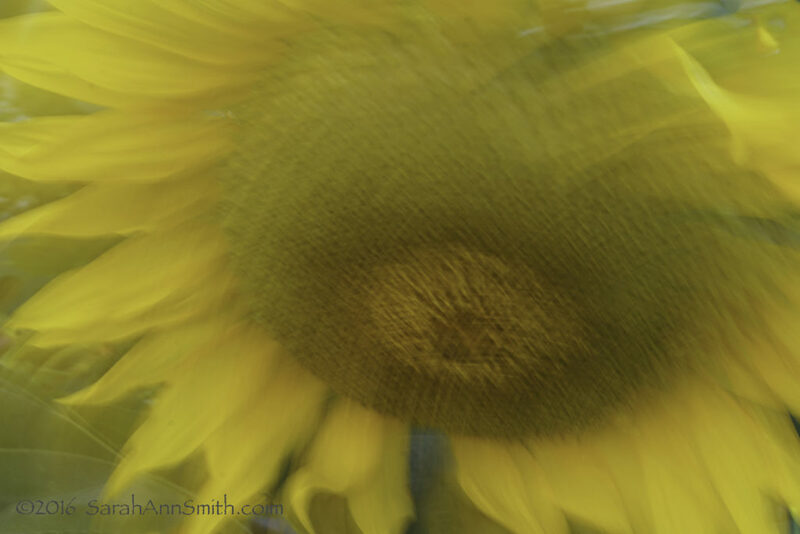 Panning is when you move the camera on purpose while the shutter is open to create a deliberate blur. 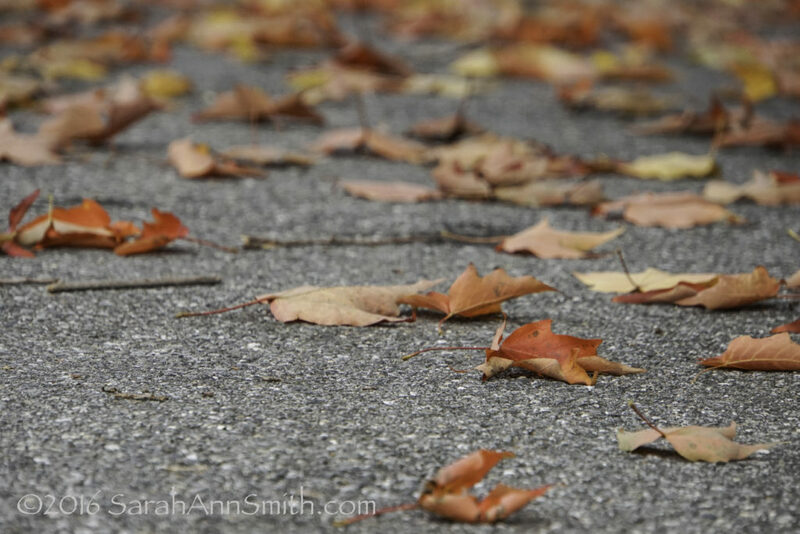 Photo 11: I must have taken 200 photos on a not-too-long walk in my neighborhood. 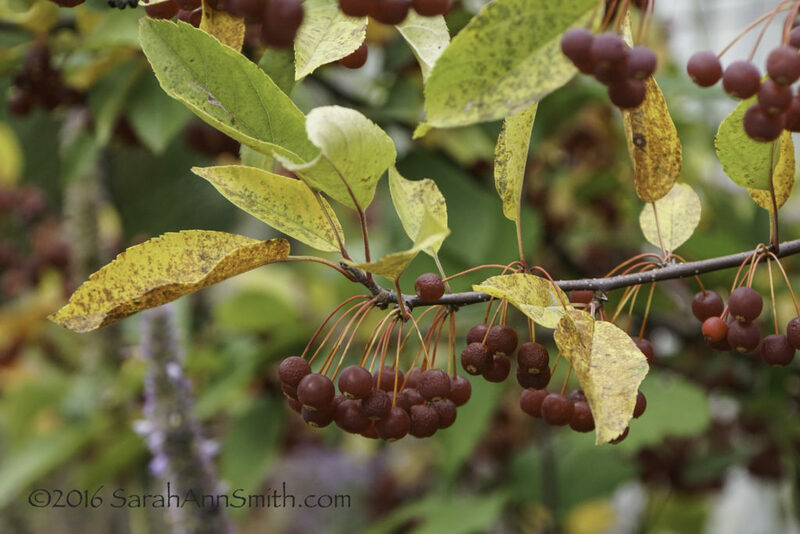 One of my favorite spots is across the main road on Blueberry Lane. 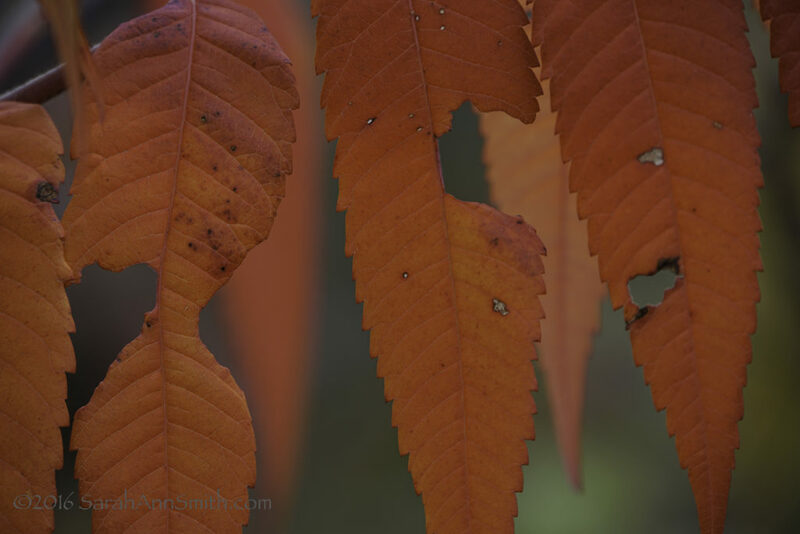 This is a close-up of the sumac leaves in full glory. 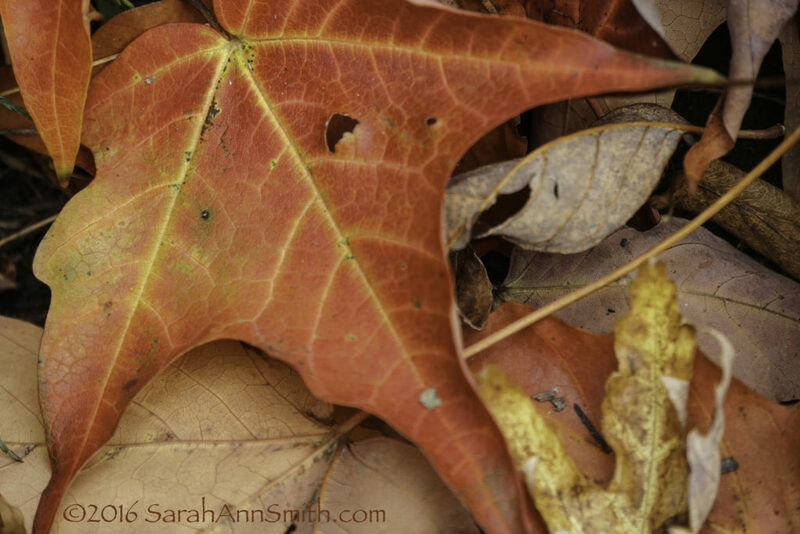 I always like the simplicity of photos like this that celebrate the beauty of the ordinary. 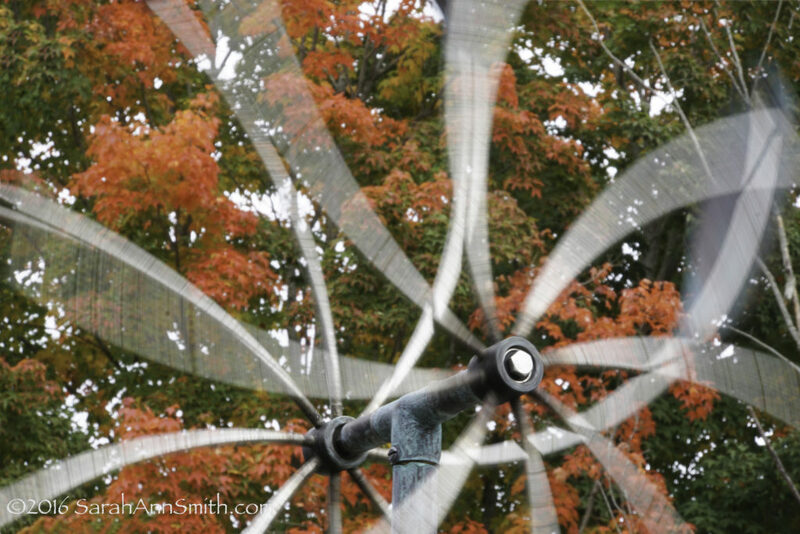 Photo 12: Another “lots of edits” photo, but one that makes me laugh. This kinda describes my entire year. Sometimes I think I ought to make this into a poster and sell it! 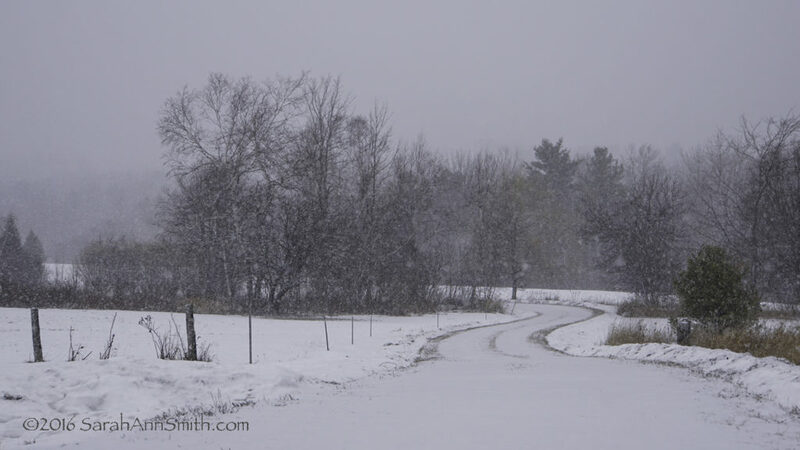 Baker’s Dozen: I took several versions of this, made one black and white, but I like the soft winter colors and the gentle curves of our driveway. 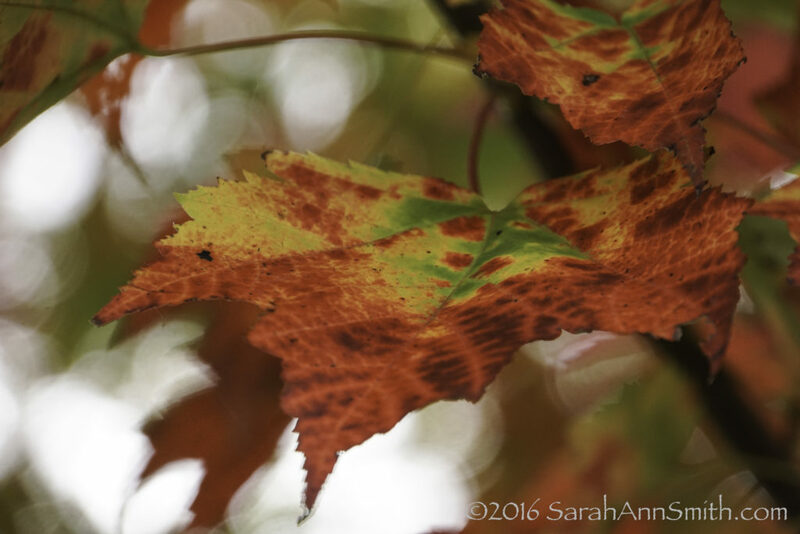 Dropping in briefly to share autumn’s glory. Just got back from teaching in Little Rock, now entering final preparations for teaching at International Quilt Festival Houston. Some of my classes still have openings, and you can sign up on site. Hope to see many of you there and will try to post to share with those of you who can’t be there. This is what those odd photos are above…I was tickled that I was able to hold the camera steady for 1/4 of a second to get the blur shots!